Idea for Kid's Snack, Tea Time or Anytime! Have you ever made Apple Cookies? 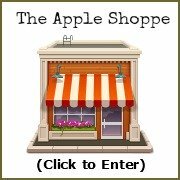 In addition to the more popular choices of recipes for apples, such as, applesauce, apple pie, apple muffins, apple cake, apple bread, and apple desserts such as crumbles and crisps, you can also make the most delicious cookies with fresh apples! Cookies made with healthy apples is a great idea for a kid's snack, tea time, coffee time, or anytime! There are recipes for cookies made with apples, applesauce or apple cider, to name a few. 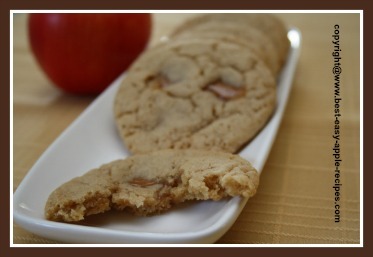 *More delicious cookie recipes using apples being added shortly! These cookie recipes are a great choice for cookies at any time of the year, but I especially like to make them for Thanksgiving baking. Apple harvest and Thanksgiving seem to be synonymous in the area where we live. At our home, baking recipes used in the Autumn invariably contain apples! There is nothing quite like the amazing aroma of fresh apple fruit baking in the oven! A sure comfort food! Of all fruits, I believe that the apple is a fruit that is a favourite for many people, including recipes that contain this delectable and versatile fruit! You will find that these recipes are a feast, not only for the taste buds, but a feast for the eyes as well! I just ♥ LOVE my hand-held knife sharpener (see below) ... HOW did I ever do without one for 20 years? 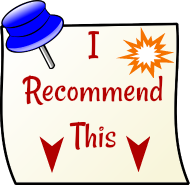 ★ BEST EVER Applesauce Maker ... when you plan to make LOTS! Here's a Great Idea to use when packing a lunch or a picnic or a fruit tray -- for those who like to eat their apple in slices ... use a handy apple corer and slicer, and add a sprinkling of Fresh Fruit Protector to keep the slices from turning brown!